Over the past year of planning for our laundry room makeover, I've fallen in love with galvanized metal decor trend. 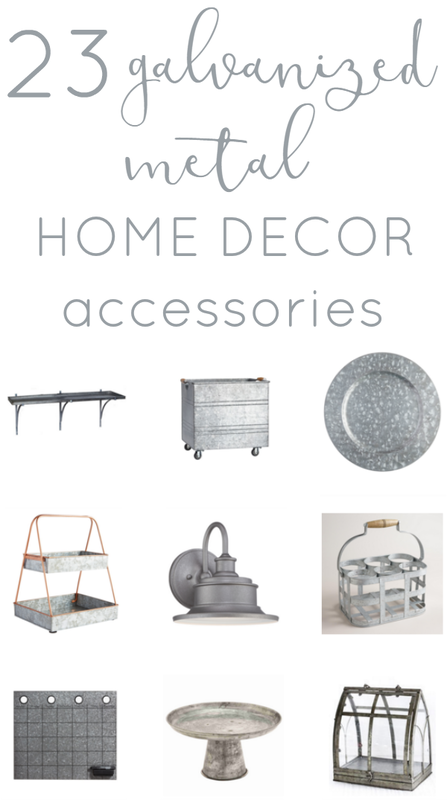 I've found lots of galvanized accessories for our new laundry room that I can't wait to share with you. For now, here's some other galvanized metal decor that I am obsessed with!